Professor Michael Baye holds the Bert Elwert Chair in Business Economics and Public Policy at Indiana University’s Kelley School of Business. 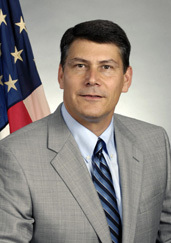 An expert in antitrust issues, game theory, and pricing in online markets, Baye also served as Director of the Federal Trade Commission’s Bureau of Economics from July 2007 through December 2008. He is currently co-editor of the Journal of Economics & Management Strategy.